Well today, I’d like to let you know how the editor sees your book. Although it may be hard for you to believe when you see the size of my report, I know your manuscript represents aeons more time than the hours it takes me to glide through with my editorial eye. I never underestimate the care you have put in – because I write novels too. I know the painstaking research and life experience you’ve used to create the world and the plot. I know you invented – from nothing – a long, twisty path between beginning and end, with carefully laid crumb trails, reversals and surprises. And that it didn’t all happen in one Eureka moment. I know you’ve invented the people from thin air, with their lives, loves and losses. I know you’ve chosen every name after careful deliberation – and possibly many rejects. Ditto for the style, language, themes. I know this manuscript is the result of many decisions and readjustments, made month after month – and that although you might have beta readers, the only thing you could rely on was your own spider sense. Although I might remark on research, locations, character back story and other material that does not fit, I know that you have reams more, which you were already disciplined enough to excise. I never forget that the draft you give me doesn’t represent just enthusiasm, but also dedication – to persist when the problems were drowning the pleasure. So yes, you get reams of comments from me, and they’re usually a shock because you thought you were done. But when I write them, I don’t feel like I’m telling you you’ve done it wrong. I feel I’m pointing out the details you didn’t have time, distance or expertise to see because you were already doing a superhuman job. And so, when this editor sends you her notes, she also sends her admiration. Welcome back to writing in 2014. What are you hoping to achieve? I’m ploughing on with Ever Rest and aiming to get another Nail Your Novel book out (2015 update – NYN Plot is alive and kicking). Tell me your goals in the comments! 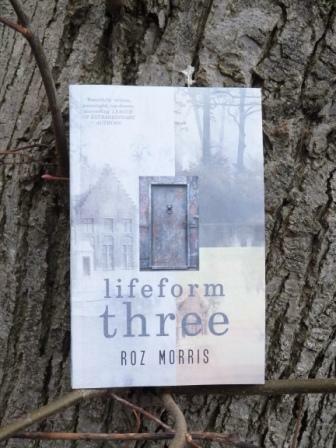 NEWS The print edition of Lifeform Three is now available! 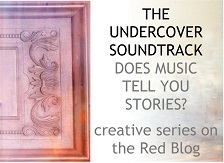 If you’re wondering what it’s all about, it’s been amassing some nice reviews, which you can see here, and I’ll also be sharing its Undercover Soundtrack on the Red Blog this week. Hope to see you there. This entry was posted on January 5, 2014, 6:41 pm and is filed under How to write a book. You can follow any responses to this entry through RSS 2.0. You can leave a response, or trackback from your own site. A valuable reassurance to those felled by self doubt! It’s been my pleasure to work successfully with a more than a few editors. For me, it’s like going to a day spa. Sure there may be a little pain. Some pinching and tugging. But in the end a new beauty shines through. And that’s because the editors hard work. So from me, the writer, to you, the editor, thank you. LOL… I’m terrible for editing in my head as I read. I’ve found the one job where I can do that without annoying everyone! What a wonderful opportunity for writers to see from an editor’s point of view. Definitely helpful and reassuring to writers to be able to empathize. Truly an eye-opener, Roz. Great post. I have you in mind, the number one editor at the top of a short list, for the day I shall truthfully say my MS is ready for the next phase. Thank you and a happy, healthy, and productive 2014. Thanks, Esther – and maybe that day won’t be so far off. If you are like my own, beloved editor, Roz, your report will make the difference between a good book/story, and one that is as close to perfect as mere humans can make. 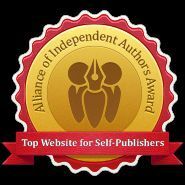 That doesn’t mean the finished product will zoom up the bestseller charts, but it does mean that we authors can view our work with pride, knowing we have achieved something special. Keep up the good work. Your efforts are appreciated. Hey Tom! How’s that Nano novel doing? Happy new year! I put “Voyage” aside to cool off a bit while I finish editing Everything We Had. Thanks for asking and Happy New Year to you, too! 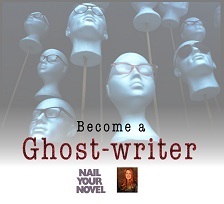 I am in the process of reading your book, Nail Your Novel, and applying your methods to try finish a rough draft of a novel that I hope will be a young adult fantasy. I think your ideas make good sense and I am certain that you really help many people who dream about writing a novel. You offer concrete advice and techiques to get the job done. I have tried and failed to write novels in November for NaNoWriMo three times. But a contributing factor could be that November is the worst month of the year in Sweden. So grey and depressing. After reading halfway through your helpful book, I can also see that I was not properly prepared to write a first draft. Hello Anna – thanks so much for the comment. I know I found it very difficult to finish a book until I realised the secret was preparation. All those cards, notes and tyre-kicking activities also mean you can carry the novel with you in your head far more easily, thus giving it a lot more time to develop in your head. Maybe this year you’ll manage to get to the end of a draft? Yes, thanks to your help, Roz! I am feeling hopeful now that I will do it! I go around thinking about my characters; I see and hear them. I am still not sure what age my readers should be. My first story sketch was about young adults in their twenties and thirties, but now my characters have become younger and younger. I am toying with the idea of making my protagonist about ten years old. These changes are easy to make with your card system. At first, my main character had an ex-husband and a boy friend; now she has a pair of frantic parents and a schoolmate. All of the details must be changed to suit the main character’s age. It has become a different kind of story. Lovely sharing Roz. A good editor and critical reader has one dedication, to improve what a writer wants to express, I’ve often huffed at comments from my beta reader, and then moved to humble acceptance and gratitude 🙂 To look again and again may be the most important lesson for a writer. Thanks, Ashen! ‘To improve what a writer wants to express’ – that’s a terrific way to describe what an editor does, and it’s one of the rewards of the job. I’m not directing someone to write a book my way, I’m helping them to write their book better. Sometimes this involves interesting discussions about what that might be – especially with a work in progress, which may contain potential directions the writer never thought were there. Great article. My writing goals this year are to (a) rewrite my novel for the 9-12 year age range and polish it to a standard to begin submitting it to agents, (b) write a couple of plays for my business (one is a customer commission), (c) keep blogging, (d) begin to compile my book of memories (about all the people I’ve lost and how they coloured my life – in the form of small stones, short fiction and poems), and (e) begin to work on a 9-12/teen sci fi novel with my husband. Plus I want to find an agent. Fingers crossed. Thanks, Fi! That’s quite a workload you’ve mapped out for yourself, but lots of exciting plans. Hope they come to fruition. Thank you. It’s a lot but I work best when the pressure is on. Hi Roz! Thanks for another great post. My goals for this year are to publish my novel! I’m almost done working through my editors comments. And I’d like to start a new one, if I can find the time. It feels like I’ve been working on my first one forever! How exciting, Ellisha. I had a writer contact me the other day because she was finding it hard to start her second novel. What are your thoughts about it? I definitely needed to hear this today. I’m someone who is currently anxiously awaiting the return of my second novel from the editors, with another in the final beta review, so I’m in the thumb twiddling, nail biting stage of WAITING. Hearing this, when the rewrite for book two is massive and growing more so every day, was exactly the pep talk I needed. Thank you to the lovely writer, follow her blog, it is worth it, and thank you to my wonderful editor Tim C. Taylor! And it’s wonderful to get this comment. Thank you! 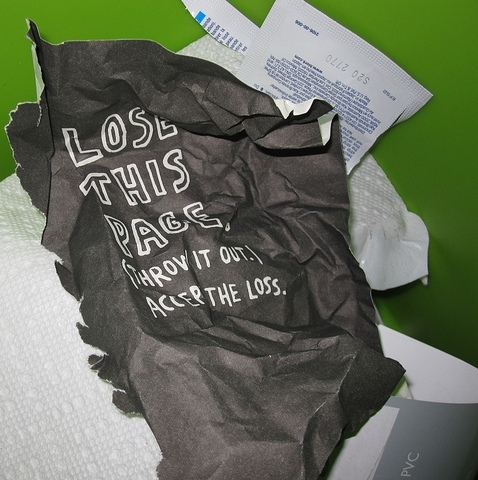 Wonderful insight to the flip side of the work you put into helping develop a manuscript. Thanks.